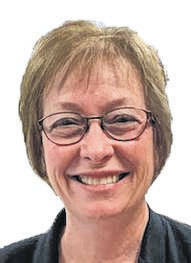 GALION — Galion Intermediate School fifth-grade teacher Sue Stark was selected as the Ohio Lottery Teacher of the Month for March, 2019. The educational recognition programs sponsored by the Ohio Lottery provide opportunities to recognize the outstanding classroom achievements of students and teachers. Stark was selected as the nominee for several reasons. Mrs. Stark is always reading and looking for new ways to engage her students every day. She teaches fifth-grade English Language Arts and, according to Sharick, is invested in making strides towards achievement. For being recognized as a Teacher of the Month, Stark will receive an assortment of Partners in Education merchandise from the Ohio Lottery along with a gift card. Visit www.ohiolottery.com to learn more about the Ohio Lottery educational recognition programs.